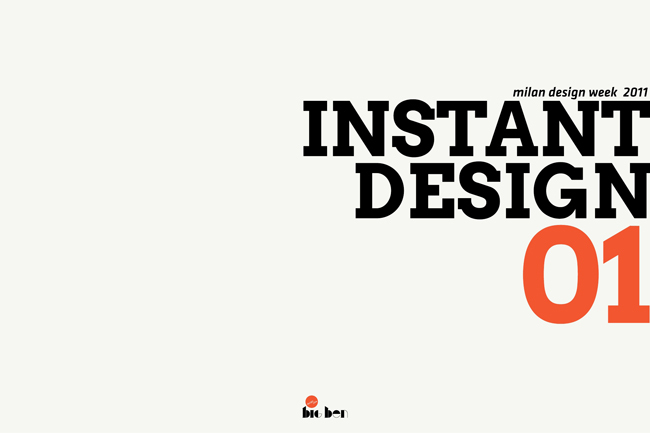 A couple weeks ago I have received a PDF copy of the Instant Design Milan Design Week 2011 E-Book. 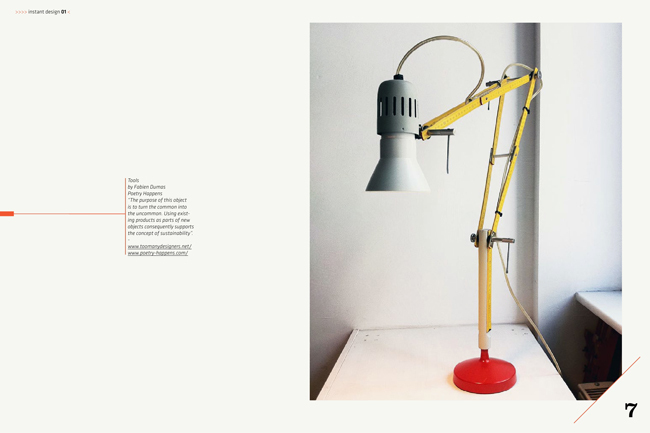 This book contains beautiful high resolution photos and short descriptions of the best one hundred design products of the Milan Design Week 2011 in a nice and clean layout. It also features five scouting portfolios, one special guest, six insiders, twenty seven snaps from cool places and five special sketches. I have never been to the Milan Design Week and this is a great way to visit it virtually. 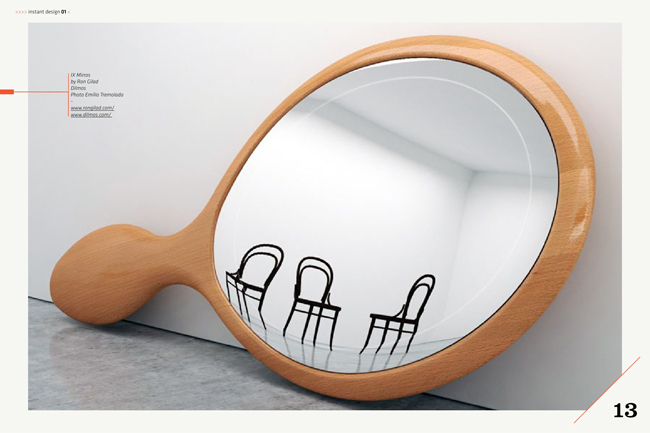 Not surprisingly, most of the featured products are related to furniture, including some bizarre designs, and you will find some interesting furniture designs from Naoto Fukasawa and Philippe Starck. You can also purchase the iPad app for this E-Book. This book is written by Susanna Legrenzi, a design curator and journalist (Vogue italia), and Nicola Gotti, an art director.